The INCRA TS-LS offers the one thing that every table saw fence should have, but none of them do, namely, Automatic Positioning Control. All other table saws depend on a tape measure and your eyesight to position your work. That's why all table saw users are resigned to the fact that a good cut requires long set-up times and endless trial and error. 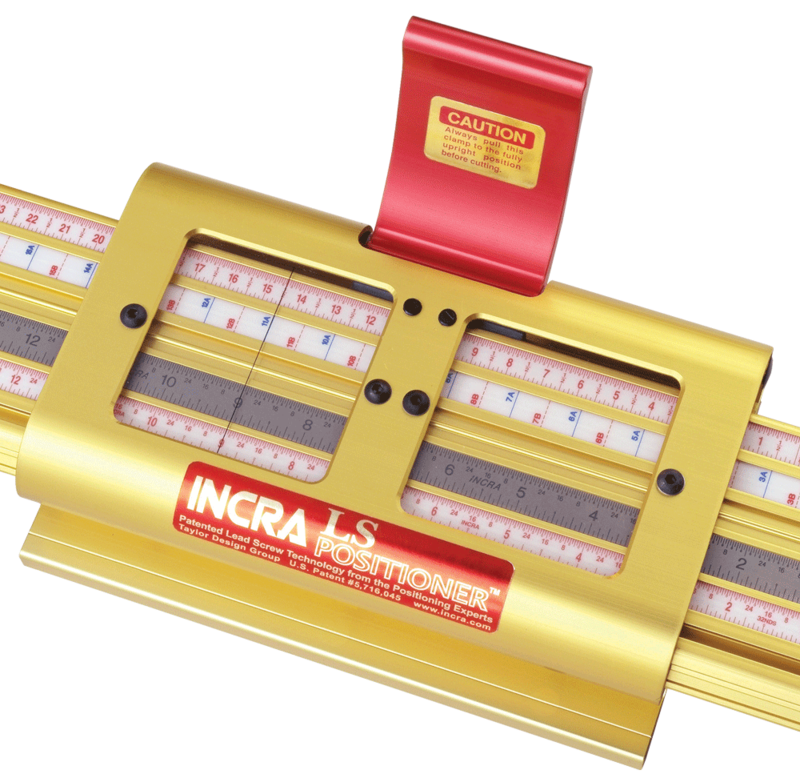 The INCRA TS-LS completely eliminates the need for these tedious processes by using INCRA'S patented lead screw technology to position your work instantly and automatically to within 0.002". Even better, if you want to repeat a cut, you can return to any former position in less than 5 seconds with ZERO repeatability error. This kind of accuracy and perfect repeatability are luxuries that woodworkers could only dream about before the INCRA TS-LS. 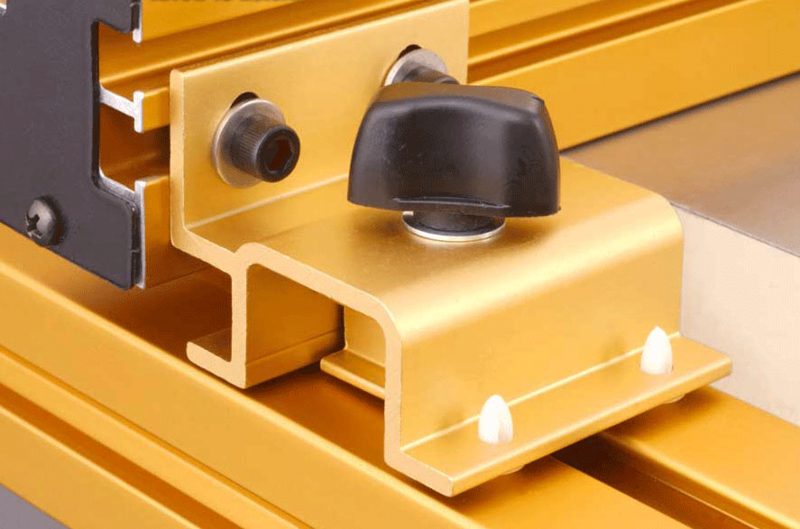 And because of its structural design, centrally placed carriage, and optimized side mounted clamping system, the entire unit virtually welds itself together into one solid block of steel and aluminum when locked in place. The result is exceptional strength, rigidity and stability. TS-LS Systems are available in 32", 52", 810mm and 1320mm range models. Spend more time cutting, less time tapping and measuring! Now available in metric, the LS positioner's patented lead screw positioning mechanics allow fence positioning accuracy of +/- .002" at 1/32" increments (+/-0.05mm on 1mm increments) across its entire range. It's essentially perfect even without the built-in micro adjust, but the large micro-adjust knob turns the lead screw against the mating threads, allowing the fence to be shifted between incremental steps with .001" (0.025mm) resolution. The incredible control available completely eliminates the "Tap, tap, tapping" involved in making small adjustments to a conventional rip fence. And since the mike is lead screw-based and reads directly in thousandths of an inch, it's repeatable as well. This micro adjust is entirely different from the random, slow-motion knobs used on rip fences in the past. INCRA's TS-LS System was one of only two fence systems to earn top scores for alignment against the blade and lack of deflection in Wood Magazine's May 2004 Rip Fence Test. 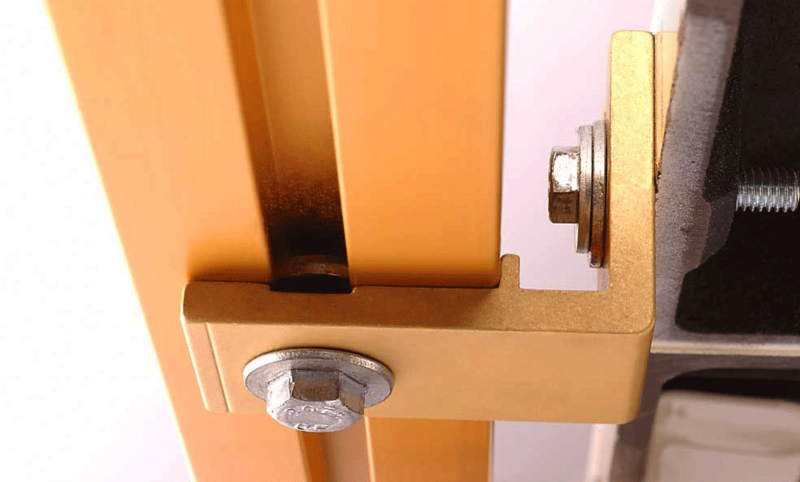 Perfect alignment relative to the blade is guaranteed by the system's low friction and by the carriage lock's tremendous pressure across the sliding carriage, not unlike a traditional T-square style rip fences. The fence can be initially aligned parallel to the miter slot, slightly "relieved" on the outfeed end, or anywhere in between. The 52" (1320mm)-capacity TS-LS System uses 92" rails and either a 32" or 810mm LS Positioner. 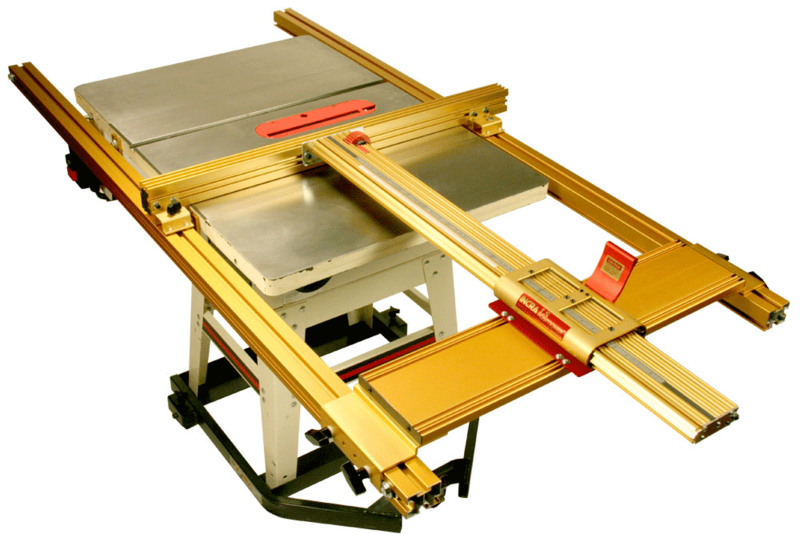 The standard Mount Unit (LS52-TS) handles saws measuring 28" or smaller front-to-rear (along the miter slot). 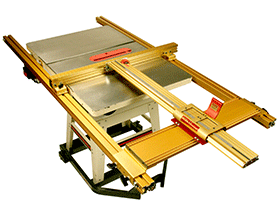 Saws measuring 28" to 33-1/2" deep can be accommodated by ordering the TS-LS with the "XL" Mount Unit (LS52-TS-XL), which has a longer fence and base support panel. There are two rail lengths available: The 32" (810mm)-capacity TS-LS is based on a 72" Rail length, and the 52" (1320mm)-capacity system uses 92" Rails. Both systems use the same LS32 Positioner, and quick-release knobs allow the positioner's base assembly to be shifted further from the saw blade on the 52" system's longer rails to achieve the greater capacity. The TS Rail Support Legs are standard equipment on the 52" System. 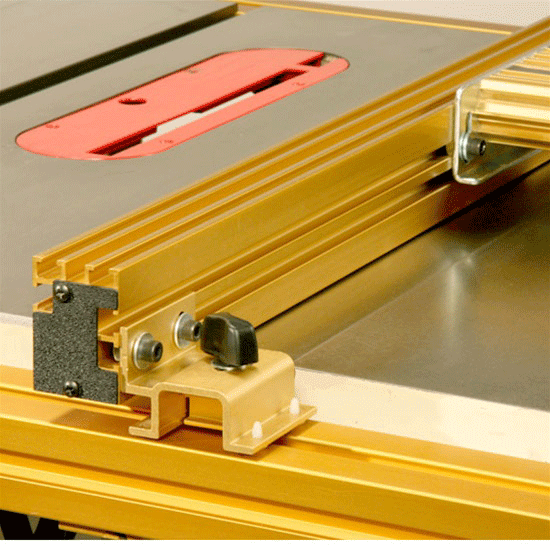 The quick-release feature allows the positioner's base assembly to be positioned anywhere along the length of the rails to access a router table in any position, and the base assembly can removed in seconds, giving you total access to the saw's surface. The quick release also allows the base assembly to be reversed on the rails to allow about 14" (350mm) of ripping capacity to the left of the blade. After the fence and base assembly has been removed from the rails or repositioned, three pairs of stops on the rails guarantee that the fence system stays perfectly aligned and calibrated, time after time. Will the INCRA TS-LS fit on my table saw? 1. The length of miter gauge slot (front-to-back distance of table). If this measurement is 28” or less (standard for most 10" table saws), the standard INCRA TS-LS will fit your saw. If this measurement is between 28” and 33.5”, the TS-LS System can be ordered as an "XL" system using a longer fence extrusion and longer base support panel for a nominal charge as a substitution for the standard-length components. 2. The front and rear surfaces of the saw. These surfaces must be flat and square to the top, with at least two holes in each surface. INCRA's universal rail mounting brackets will match with holes for 5/16" or 3/8" bolts (or 8mm - 10mm), and the holes can be centered anywhere between 3/4" and 1-3/8" below the saw's top surface. See the TS-LS Compatibility Chart for more information regarding the TS-LS & TS Router Table installations. 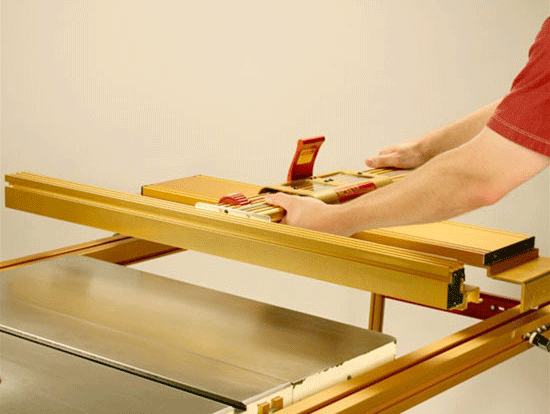 Five Sliding Scale Template Channels All LS Positioners include a Primary Stainless Steel Scale, a "Floating" Reference Scale and an Auto-Centering Scale. 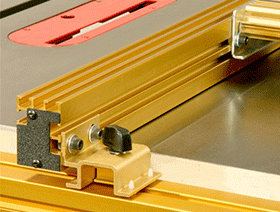 The Primary scale adjusts on a magnetic track in the first channel to indicate distance from the cutter. The Reference Scale "floats" in a second channel to indicate distance from the last cut or any other reference point of your choosing. 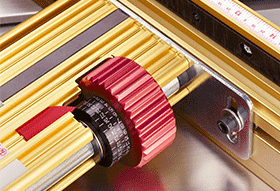 The Auto- Centering Scale (imperial systems only) fits in a third channel to Automatically and Effortlessly center your work for any operation. Easy On, Easy Off Dismounts for cross-cutting operations and remounts in less than 10 seconds. This also makes it easy to use INCRA precision on both sides of the blade. The positioning range is 32" to the right and 14" to the left of the blade. The new TS-LS removes exactly the same way as the TS Ultra shown here. These "saddle" brackets not only allow fast dismounts, the clever design of INCRA's centrally placed carriage literally forces the fence into perfectly parallel alignment at any position. These brackets also ride above the table saw surface to allow movement anywhere along the 72" rails in either direction. The fence skims above the table on whisper smooth glides, eliminating all fence to table contact. Quick, Easy Installation Universal mounting brackets virtually guarantee compatibility with any 10" table saw, with no drilling, no tapping and no modifications. Click to download INCRA TS-LS Manual in PDF format. 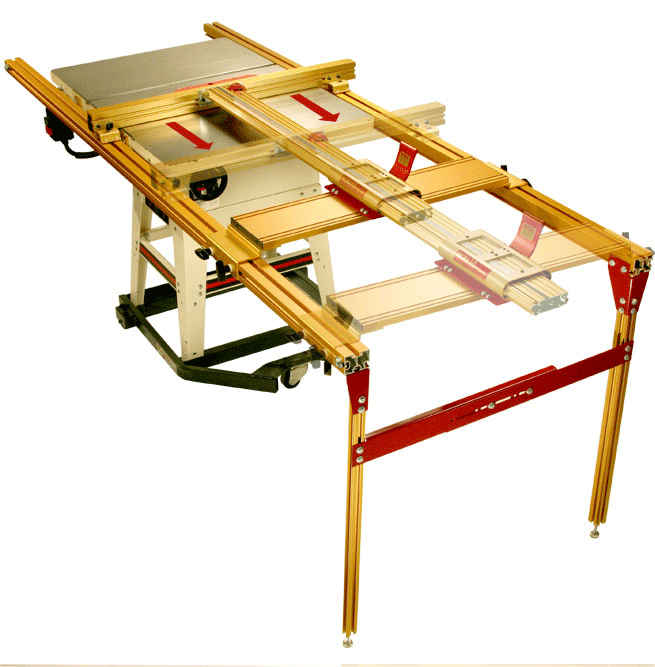 Click to download INCRA TS-LS Table Saw Fence Video in Windows Media format. Click to download TS-LS Table Saw Fence - Part 1 of 3 in Windows Media format. Click to download TS-LS Table Saw Fence - Part 2 of 3 in Windows Media format. Click to download TS-LS Table Saw Fence - Part 3 of 3 in Windows Media format. 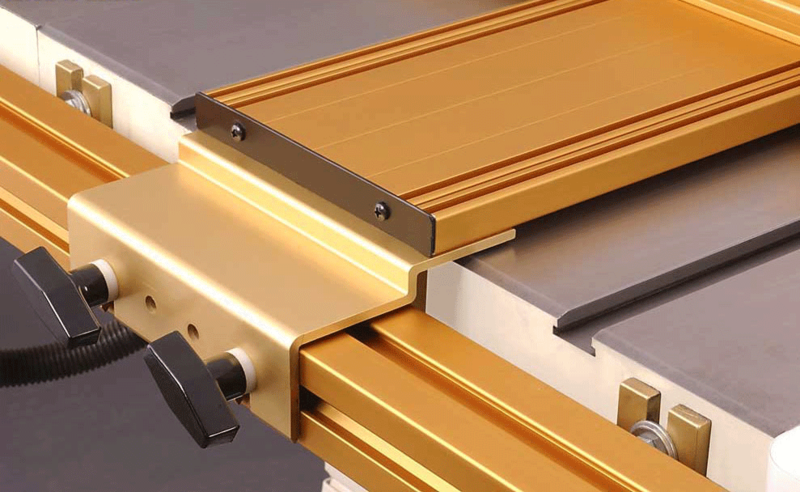 INCRA Table Saw Rail Support Legs Directly support the rails of the TS-LS, TS-III, and TS-II Systems, adding stability to the entire saw platform. 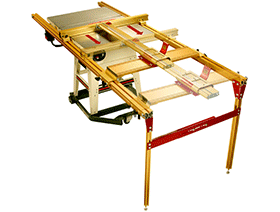 TS Router Table Support Hardware Great for mounting user-made tables to the TS Rail System. 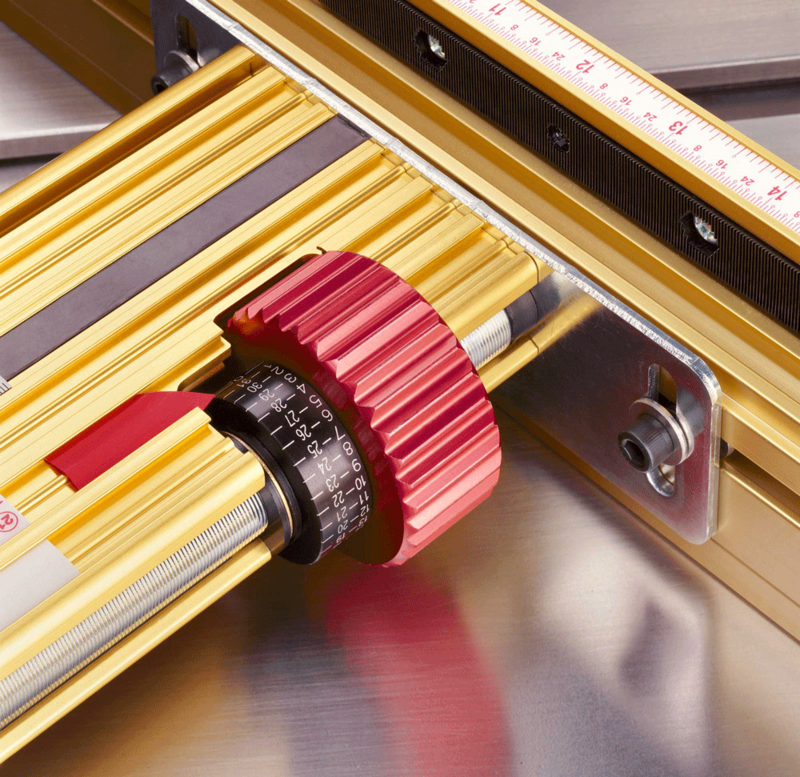 INCRA Wonder Fence To make accurate edge-shaping operations a precise pleasure.